This new process enables you to create a new list, and add whatever page you’re reading to the new collection on the fly. 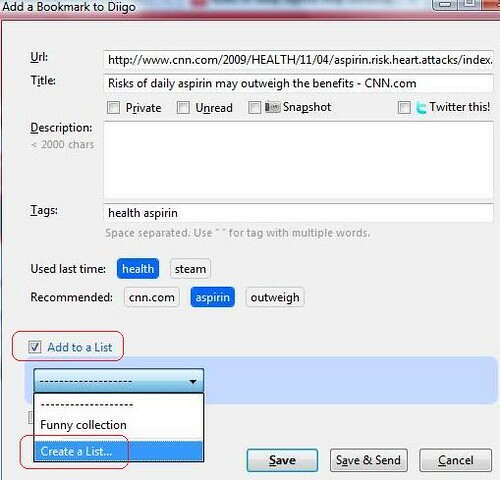 Make sure that you have the latest Diigo FF toolbar installed. Give it a try and let us know what you think. PS. Diigo IE toolbar will support this new feature very soon. Stay tuned. Was wondering what was new w/the update. Sweet, this was a pain before . Progress!